Shoes for children on the go. Children and toddler's shoes in a variety of colors and styles. 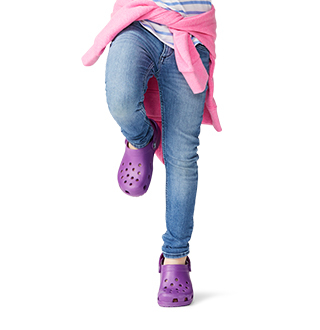 Make shopping for your children's shoes easy with Crocs collection of comfortable kids shoes. No matter how rough your children or toddler is on these shoes, they stand up to even the toughest play! 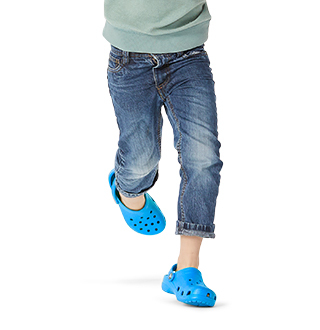 Crocs™ kids footwear is durable and easy-to-clean, which make these shoes perfect for the on-the-move children in your life. 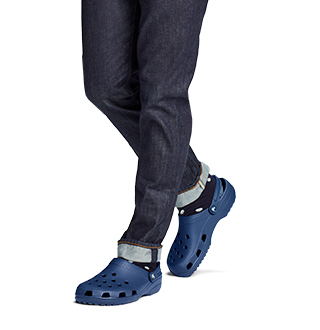 Designed with Croslite™ foam construction, these shoes are made to embody the features of a lightweight and comfortable shoe. Our kids' shoes are also easy for children to put on and take off, giving them more independence. 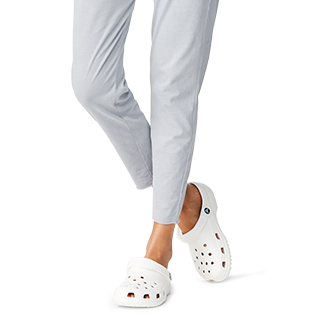 Crocs has the kids' shoes you need for any season, from kids’ summer sandals to rain and snow boots for kids.